Think you’re cool cause you can blow o’s when you smoke? Mother Nature has still got you beat. Mount Etna in Sicily, Italy took a little break from erupting to blow O-shaped smoke rings hundreds of feet in diameter to make every smoker and pot head in the world jealous. Just look at it. It’s perfect! The photograph comes from Tom Pfeiffer of Volcano Discovery, where you can see more impressive looking O’s coming out of the volcano. 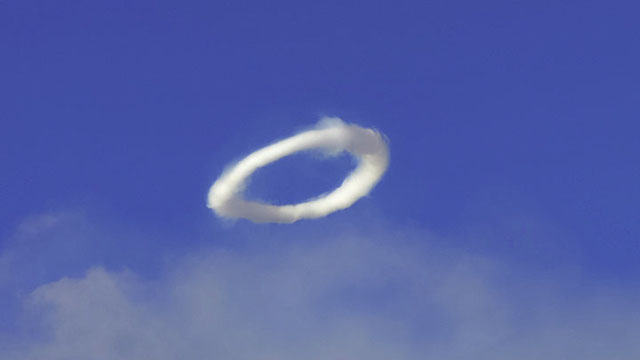 According to BoingBoing, Mount Etna blew dozens of smoke rings on November 11th (it started erupting on October 26). No one knows exactly how Etna does her thing (and Etna has done it before) but it’s probably because she’s, well, lit.